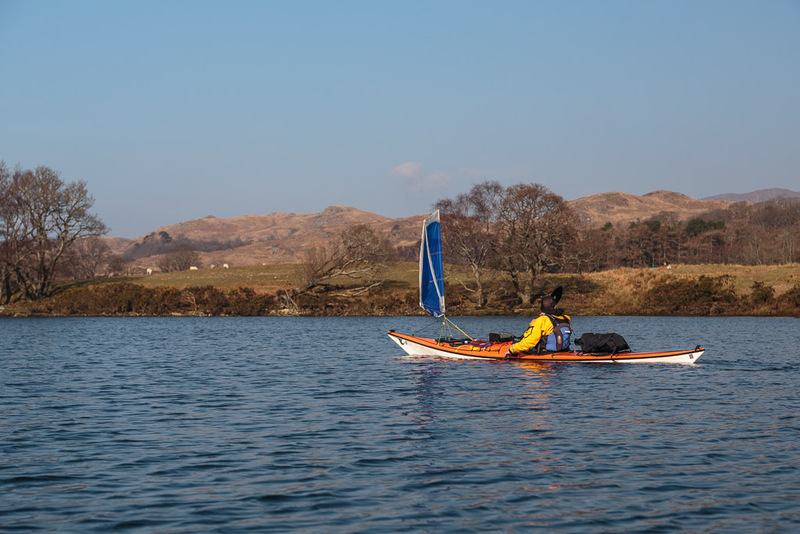 Leaving Dalelia on the shore of Loch Shiel: tales of war, loss and peace. 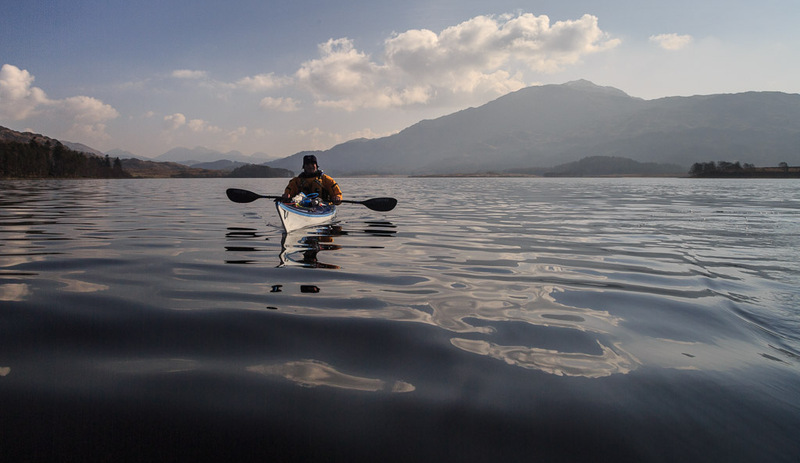 ...the loch, forests and mountains. 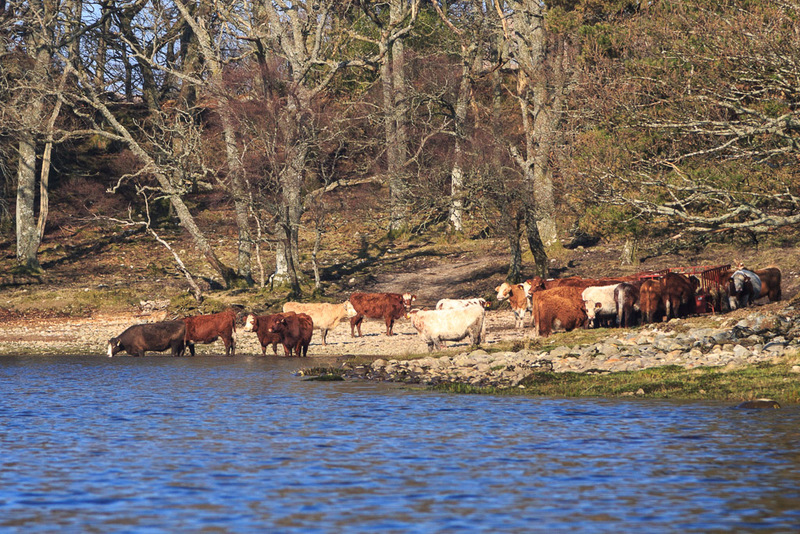 ...cattle made their way to the shore to drink. ...which we spotted a tall stone cross, almost hidden by the trees. It is a war memorial erected by Dalelia's then owner, Lord Howard of Glossop, to his son. Lt. Philip Howard. Philip was only 23 years old when he died in action in France in 1918, near the end of WW1. His family's wealth could not protect him from the ultimate sacrifice and waste of war. Of course other young men from this part of the highlands also died in WW1 but their families could not afford to erect a monument. 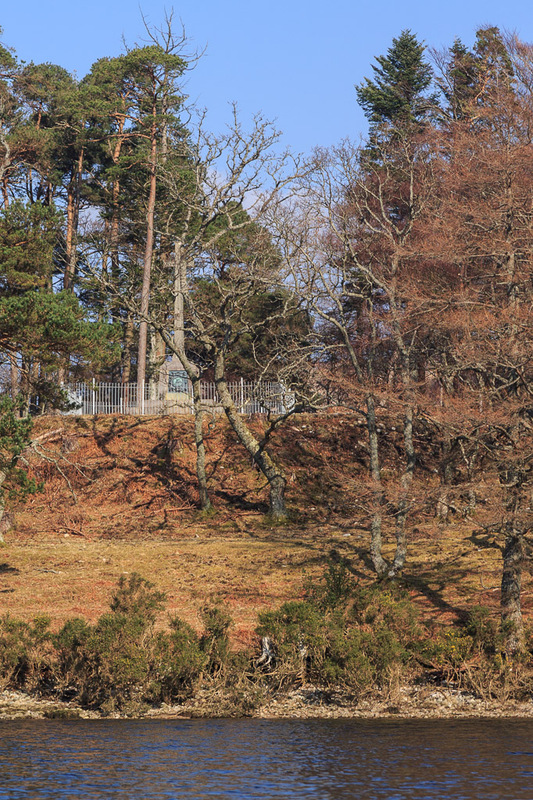 However, their 13 names are listed on the war memorial at Acharacle village at the lower end of Loch Shiel. Philip Howard's name is not on it as he was from Glossop in Derbyshire. His father had wanted to build a memorial to his son and have it sited in Norfolk Square in Glossop but it was never built. 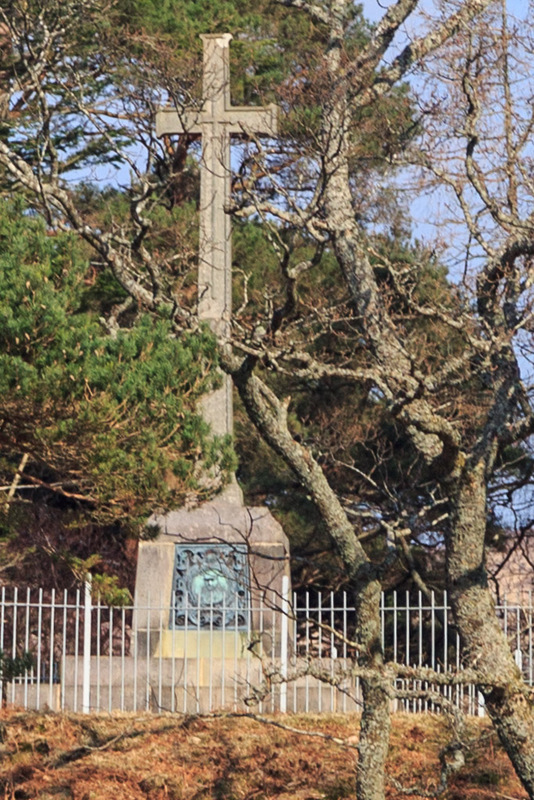 Instead a memorial to all of Glossop's dead (including Philip) was erected in Norfolk Square and Lord Howard sited the personal memorial here on the shore of Loch Shiel. ...passed Dalelia house at the centre of the estate. It was built by Alexander MacDonald as a tacks-man's house about 1795 and extended by Lord Howard in 1907 as a holiday home. 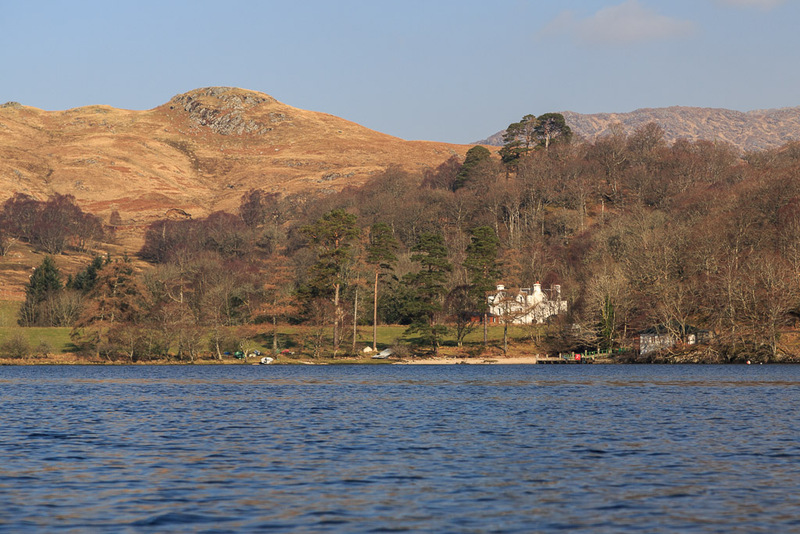 In 1745 at the start of his ill fated rebellion, Bonnie Prince Charlie made his way to Dalelia over the coffin road (to St Finan's Isle) through the pass in the hills from the head of Loch Moidart. From Dalelia he was taken by boat to spend the night with Alexander MacDonald at Glenaladale before going on to Glenfinnan at the head of Loch Shiel to raise his standard the following day. This was the start of his ill fated rebellion to regain the British crown for his father. From Dalelia Glenfinnan is 22 kilometres away (beyond the distant mountains to the left of Mike's head). This is the view that Prince Charlie would have seen at the start of his futile rebellion. It is also a view he would have seen nearly a year later as he escaped this way after the final defeat at the Battle of Culloden in 1746. Perhaps it is also a view that Philip Howard had also enjoyed before he went to war and his untimely death in France. Perhaps this why his grieving father built his memorial here rather than in Glossop. 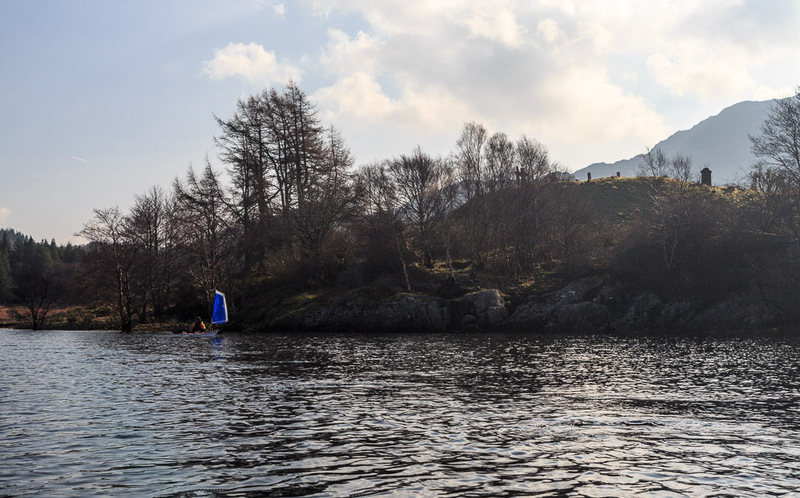 We were fortunate that we were leaving Dalelia on a peaceful voyage and were now reaching the end of our journey down Loch Shiel.